I have a problem. It's one that I'm loathe to admit to. It makes me feel like a bad mom, but I'm finally going to do something about it. You see, I have this box. It's hidden in our garage so I don't see it on a daily basis, but it haunts the back of my mind. This box contains all my kids' programs, awards, pictures, and special projects. All the things that I want to scrapbook and keep for them. But I've determined I'm not a very good scrap booker. I was cruising around blogs while participating in the Blogelina Commentathon Challenge, when I came across a blog that mentioned smash books. I was curious. I decided to try and start with my Valentine Chocolate Walk pictures. Remember that I shared our DIY Castle Backdrop? I took the picture of my Princess sitting inside the castle handing out chocolate roses. I added the Chocolate Walk logo and a picture of the store marker Hershey kiss. I added these pictures to a chocolate overlay that I printed from Daisie Company. I added a few other embellishments like the year and a piece of chocolate truffle clip art. On the opposite page I printed out letters from all my favorite fonts. I wrote "Hand Over the Chocolate And Nobody Gets Hurt." 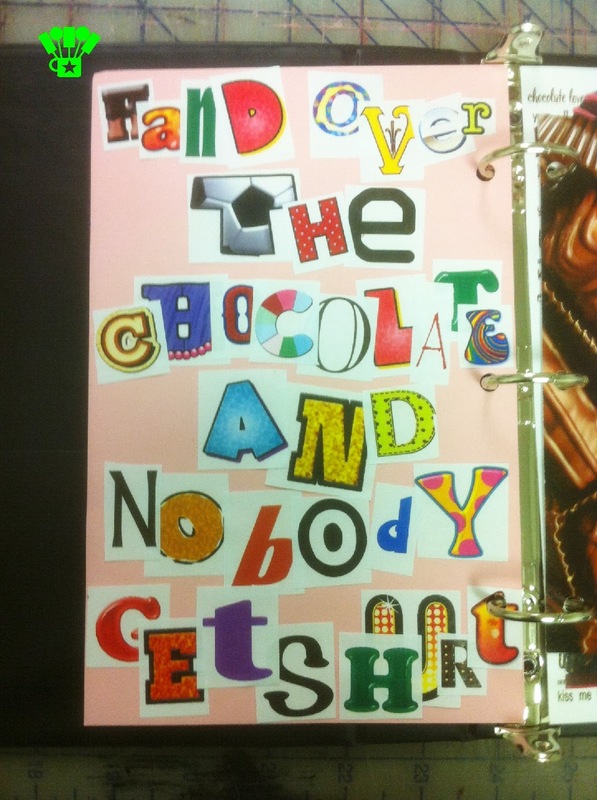 The idea was to make the page look like a ransom note. What I really like about the smash book pages is that I can stick other pieces in the book later. I received a thank you note for being a part of the Chocolate Walk. The note had this great candy truffle design on the front and announced the winners of the walk on the back. I just punched holes in it and stuck it inside my pages. Easy addition and now I've saved that too. I love the idea of smash books and will probably be doing these a lot more. You can see all my favorite ideas on my Smash Book Pinterest board. Or you will probably see these as my new Off Topic Tuesday posts. 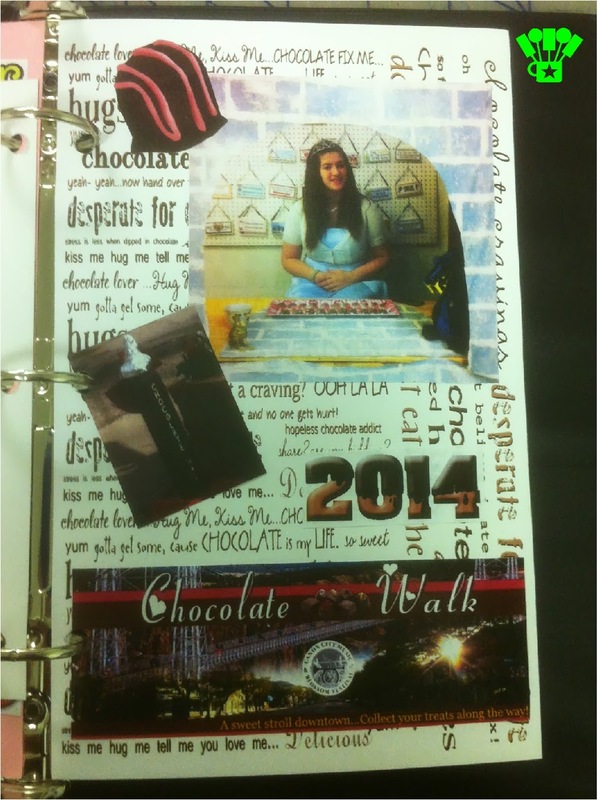 Do you scrapbook? 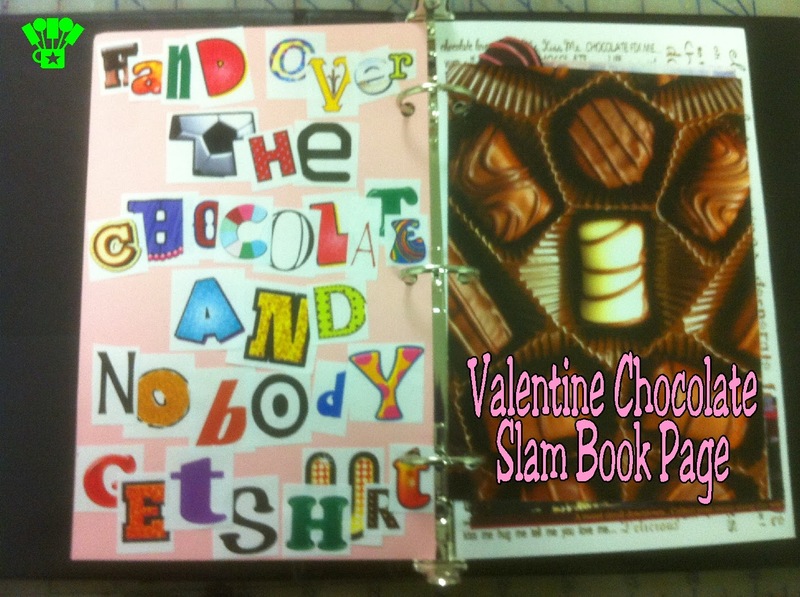 Have you ever made a smash book?